To purchase resources, please click on any product title or click here to visit our online store. Remarkable Discoveries and Recoveries from the Frontiers of Neuroplasticity, Norman Doidge, 2015. Dr. Norman Doidge’s revolutionary new book The Brain’s Way of Healing shows, for the first time, how the amazing process of neuroplastic healing really works. It describes natural, non-invasive avenues into the brain provided by the forms of energy around us—light, sound, vibration, movement—which pass through our senses and our bodies to awaken the brain’s own healing capacities without producing unpleasant side effects. Doidge explores cases where patients alleviated years of chronic pain or recovered from debilitating strokes or accidents; children on the autistic spectrum or with learning disorders normalizing; symptoms of multiple sclerosis, Parkinson’s disease, and cerebral palsy radically improved, and other near-miracle recoveries. And we learn how to vastly reduce the risk of dementia with simple approaches anyone can use. Chapter 8: A Bridge of Sound: The Special Connection Between Music and the Brain is dedicated to the use of sound in therapy, Alfred Tomatis and our work at The Listening Centre. A Guide to Effective Learning and Communication, Paul Madaule, 1993 (soft cover). Please contact The Listening Centre for quantity discounts, starting at 10+ books. A Guide to Effective Learning and Communication,Paul Madaule, 1993. Paul Madaule re-awakens a skill that can improve communication, creativity and learning ability, allowing a fuller and more energetic life. He demystifies the Tomatis Listening Method as both clinical and client and has included unique section of “Earobics” daily exercises that will allow the reader to develop and improve their skills on their own. When Listening Comes Alive is a book about listening at all the stages of life, for parents-to-be, hard-working professionals, teachers, early children educators and parents seeking help for learning disabled children or difficult teenagers. Maximizing the Ear-Voice connection can help you get the best out of your and your singing and speaking voice. 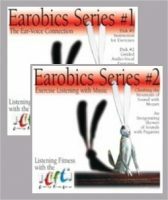 In his book When Listening Comes Alive, Paul Madaule offers several Earobics Exercises that are now for the first time available in the audio form. Do we fully benefit from the music and the other sounds surrounding us? Do we fully listen? The good news is that listening is an active skill and can be trained. 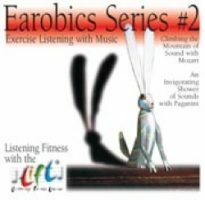 Exercise Listening with Music provides instructions and music by Mozart and Paganini for two receptive exercises: 'Climbing the Mountain of Sounds with Mozart': A series of three 10-minute filtered and de-filtered music exercises. A good illustration of auditory perspectives. 'An Invigorating Shower of Sounds with Paganini'. A good illustration of the "gate effect". All 3 CD's from Earobics Series #1 and Earobics Series #2 combined. The Ear and Voice Connection provides instructions and guided exercises for breathing, the listening posture and the production of bone-conducted and vowel sounds. Do we fully benefit from the music and the other sounds surrounding us? Do we fully listen? The good news is that listening is an active skill and can be trained. 2 CDs, 1 hour each. Exercise Listening with Music provides instructions and music by Mozart and Paganini for two receptive exercises: ‘Climbing the Mountain of Sounds with Mozart’: A series of three 10-minute filtered and de-filtered music exercises. A good illustration of auditory perspectives. ‘An Invigorating Shower of Sounds with Paganini’. A good illustration of the “gate effect”. 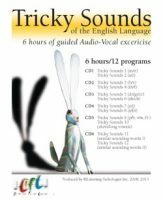 Tricky Sounds is a set of 6 CD series/12 half-hour programs of word and sentence repetition exercises which focus on the sounds that English learners have the most difficulty discriminating auditorily and, in turn, pronouncing. The Tricky Sounds Series is also helpful for children and adults with speech difficulties. CDs can be used in any order depending on the purpose for which they are used. The Tricky Sounds CDs were created to help train the ear to discriminate between sounds of the English language that sound alike. This 6 CD series is a useful tool for people learning English as a second language as well as for those with speech and language difficulties. Tricky Sounds series consists of twelve 30-minute programs (6 hrs total), of guided word and sentence repetition exercises. Each program pairs sounds that are difficult to differentiate between and, therefore, to pronounce correctly. One of the most interesting aspects of this series is its versatility. The programs can be used in any order, depending on the particular need. There is no limit to the number of times the programs can be repeated. When used for learning English, Tricky Sounds series is equally beneficial for both beginners and advanced students: it helps train the beginner’s ear to the sounds and flow of English and advanced students fine-tune their discrimination and pronunciation. Another feature of the exercises is the time allocated to repeat the words twice. The first repeat permits you to model your speech to the voice of the native English speaker. the second repeat allows you to train the control of your own voice. This self-listening should become as automatic when speaking a second language as it is in one’s own tongue. Each CD in the 2nd edition of Tricky Sounds includes a transcript of the recorded exercises in PDF. While this visual support can help boost the beginner’s confidence, you should keep in mind that the end goal is to make this a pure ear-voice tuning exercise. You are encouraged to put aside the scripts after the first read. 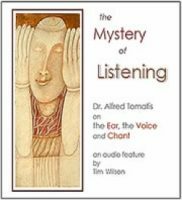 Dr. Alfred Tomatis (1920 – 2001) was the pioneering French physician and psychologist who discovered a previously unacknowledged connection between the ear and voice and put his discovery into practice in everything from the treatment of learning disabilities to singing of Benedictine Monks. Gregorian Chant, said Dr. Tomatis, is a fantastic energy food. In this revised and remastered edition of his landmark 1978 public radio documentary, award-winning producer, Tim Wilson revisits his interviews with Dr. Tomatis including the only sound document of him speaking in English and adds a new commentary of his long-time collaborator, Paul Madaule. The result is a profound and subtle meditation on Listening, the most vital of human faculties. Produced by Tim Wilson and The Listening Centre, 2006, 57 min.